Are you a lover of the Ferrari brand? Maybe it’s the raw power of them, or the flawless carbon fibre moulding that seems to bring forth envy and admiration from all who see it. Regardless of the reason any true Ferrari lover would love to own one of Ferrari’s most exclusive car; the LaFerrari. Only 499 were made and the company chose who would receive one rather than first come first serve. 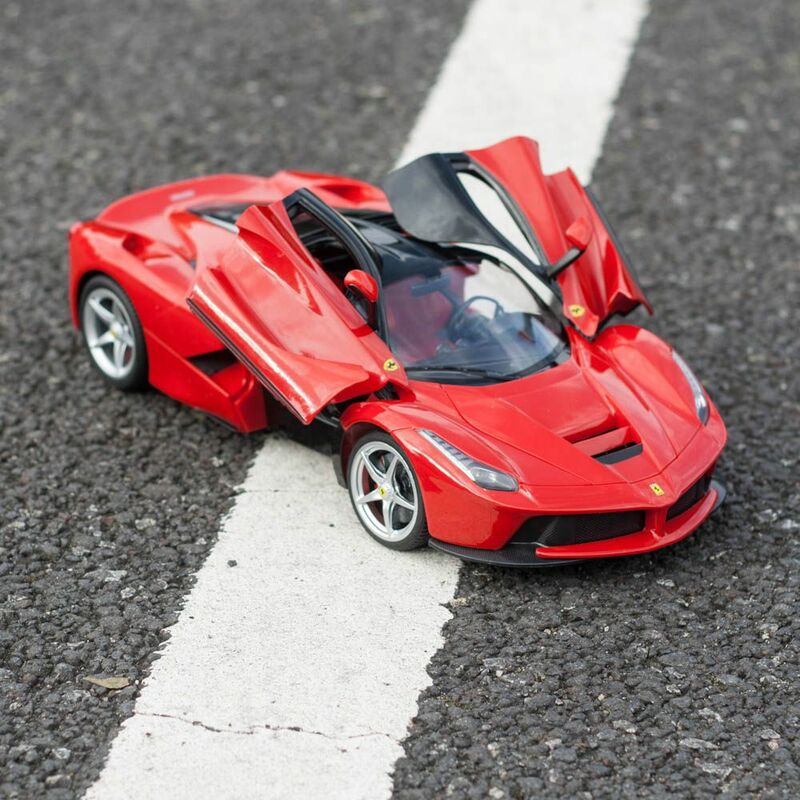 Now you can own your very own LaFerrari with this cherry red RC toy build to scale. 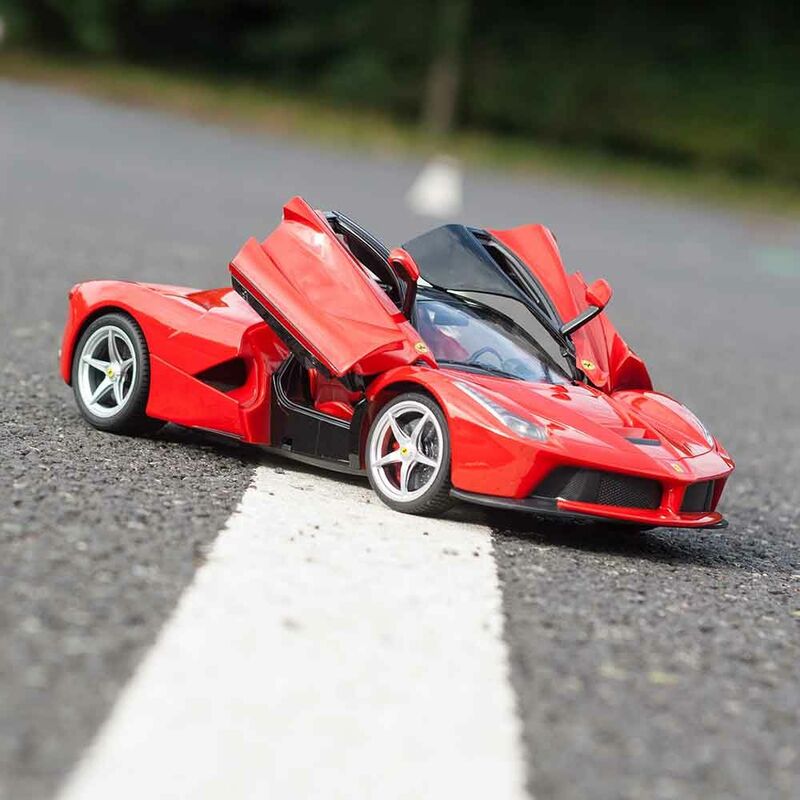 This scale model toy has the LaFerrari scissor style doors and features fully functioning front and rear lights making it perfect for driving during the day or the night. As well as mimicking the look of the LaFerrari this RC toy also features Ferrari logos on the bonnet, doors and rims. You can drive this car forwards, backward, left and right making it easy to zoom around your house and scare the cat. When this car is on a straight drive it can reach speeds of up to roughly 3 miles per hour which may not be as impressive as the real LaFerrari’s 0-100mph in 3 seconds but is pretty cool for an RC car. As well as its speed and flexibility this car has a range of 20-30 metres so you won’t have to move from the comfort of your seat to drive it around. This car needs to be charged and can be used for around 17 minutes before recharging. This would make the perfect present for anyone that loves Ferrari cars or anyone that loves showing off their mad RC car skills.